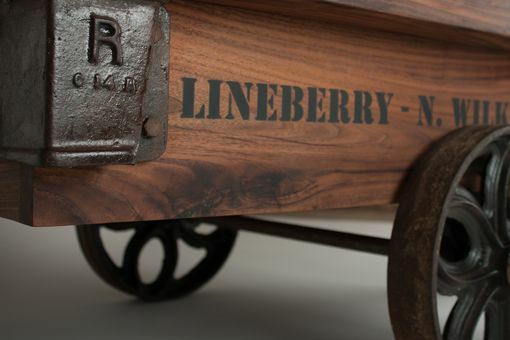 These carts have Lineberry "Tulip" wheels, so named for their ornate flower design which dates to the early 1900's. 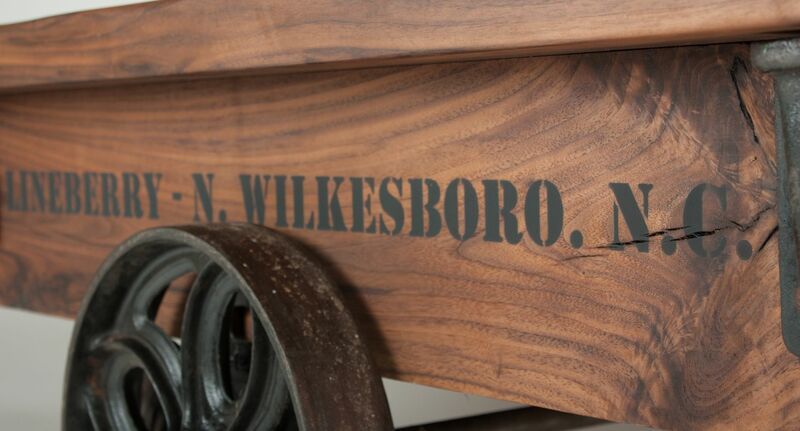 All new cart body built from solid Black Walnut and finished in 100% Pure Food grade Tung oil with a top protective coat of Beeswax. 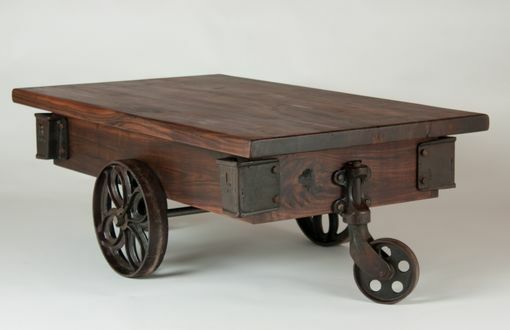 Makes a fantastic coffee table! 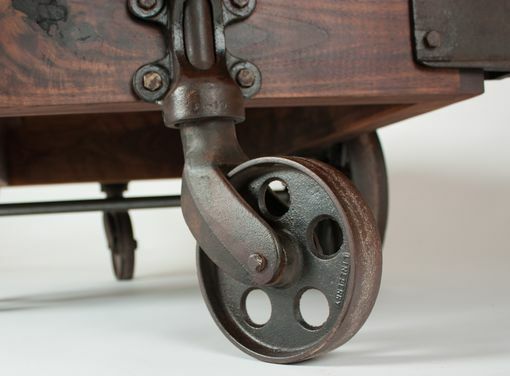 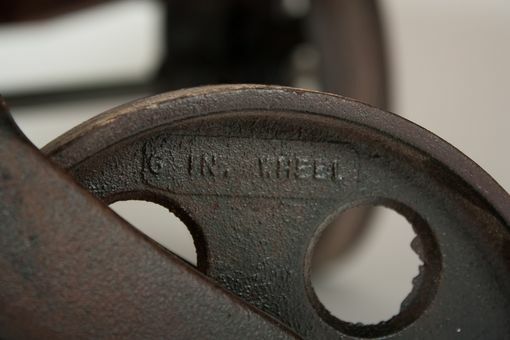 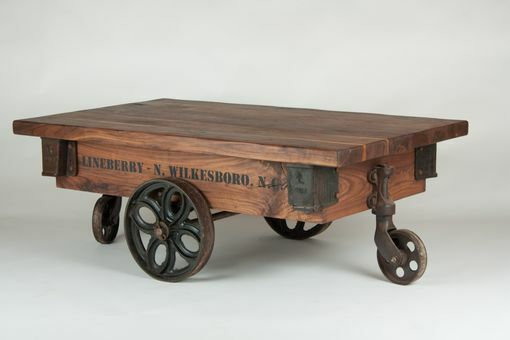 The hardware is over 100 years old and original to a factory cart from eastern TN.